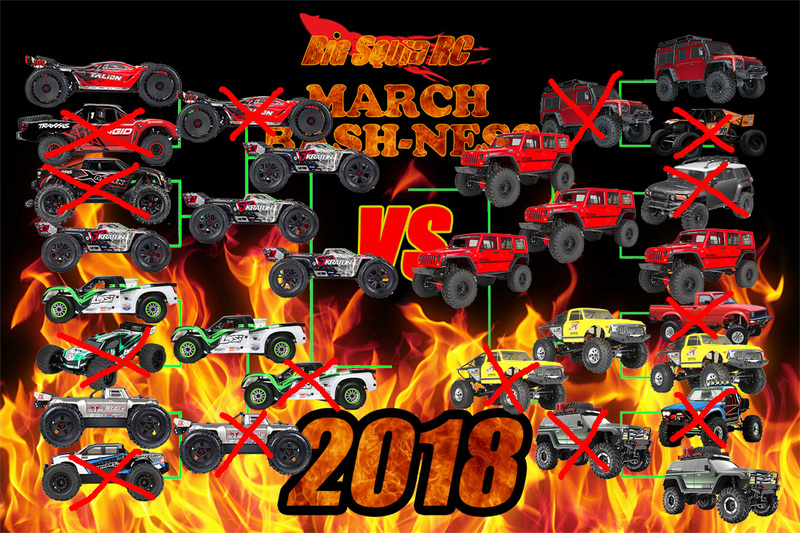 March Bash-ness 2018 Round 4 – Final ROUND « Big Squid RC – RC Car and Truck News, Reviews, Videos, and More! Here we are, the final round! Congratulations to the ARRMA Kraton and the Axial SCX10! Both of these vehicles fought off some insanely tough competition to make it here and to be the winners of the Basher side and the crawler/scale side. Now it’s time for their final fight, is it really the Kraton vs the scX10 or is it bashers vs crawlers? Well, we are about to find out! The final voting round will have 3 days so you have till Friday April 6th at 10pm CST (11 EDT, 9 CDT, 8 MST) to get your votes in! As always, we WILL ban you if we catch you stuffing the ballot box. Please don’t make us do that.